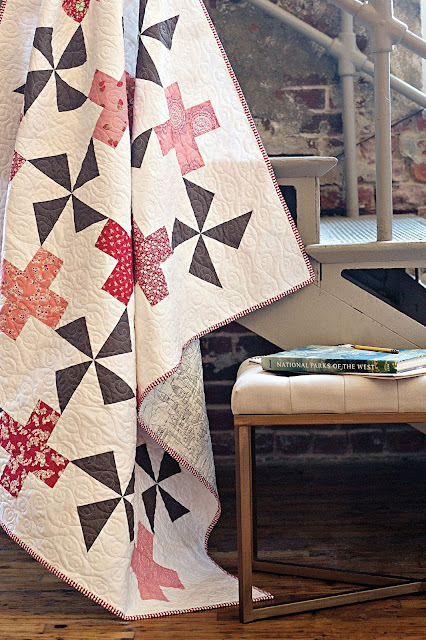 Today is Day 8 of the Modern Plus Sign Quilts Blog Hop and we are featuring two more quilts, Celestial and Pinwheel Plus. And...the giveaway today is 2 charm packs by Free Spirit. Celestial is the the largest quilt in the book finishing at 96" x 96". 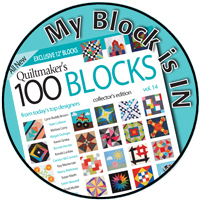 The blocks are big and the quilt comes together easily with a difficulty rating of just one + sign. 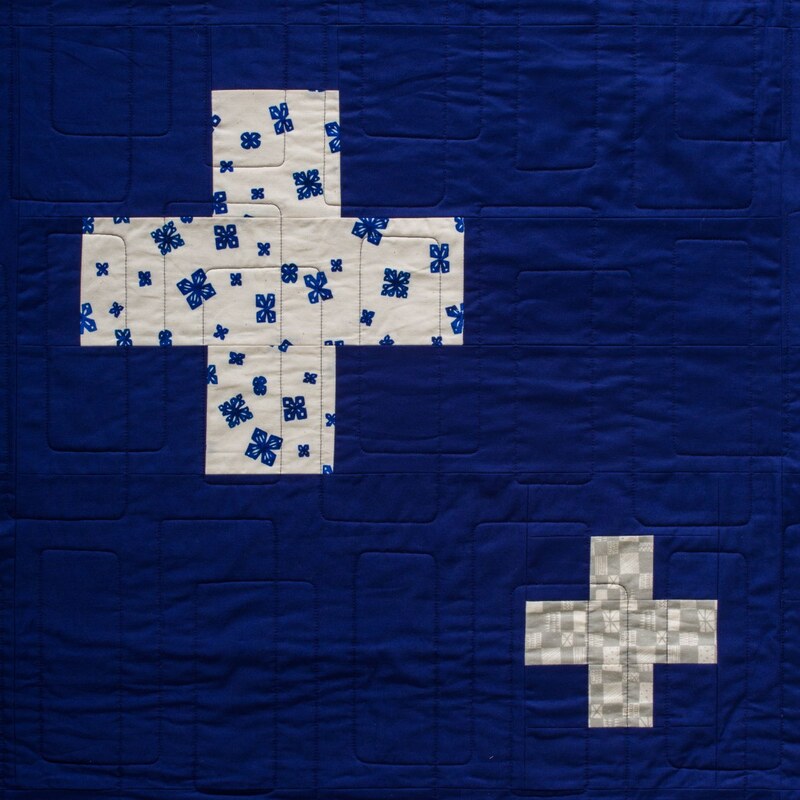 This is such a large quilt, the quilting was handed off to Johellen George @sc_quilter which she did on her longarm. 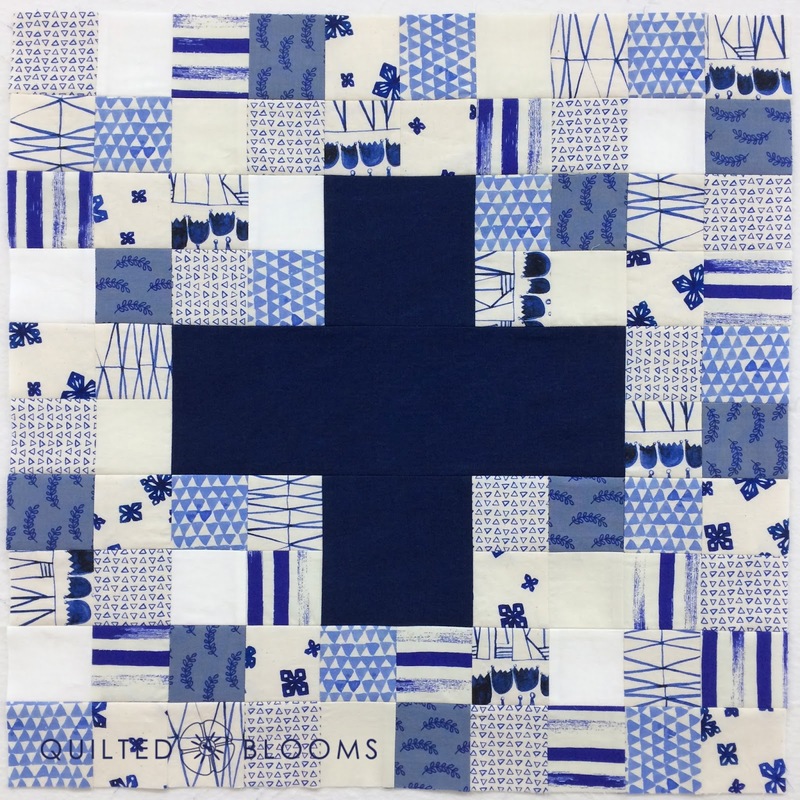 The background fabric is Indigo, a Cotton Supreme Solid by RJR Fabrics. 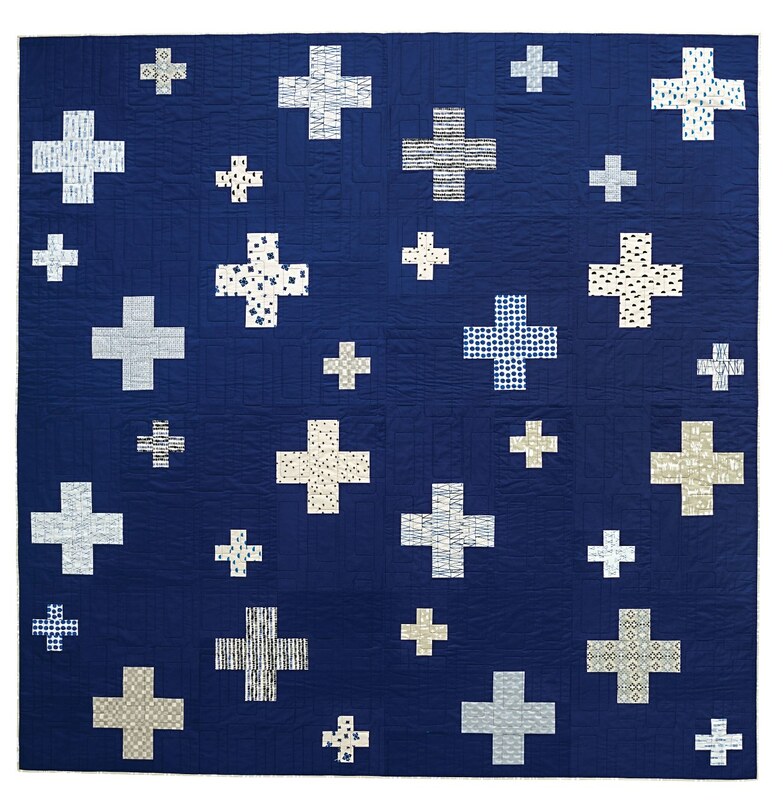 The plus signs or 'stars' are various Cotton + Steel prints. 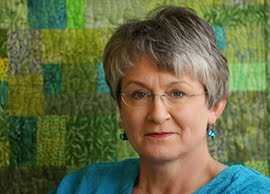 In fact, I used the many of the left over Cotton + Steel prints from Celestial to make the Candy Plus, the free pattern you will receive when you sign up for Cheryl's newsletter. 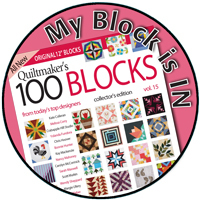 This design is one you look at and ask yourself, "Now where is the block?". 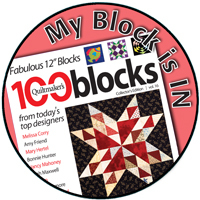 Cheryl cleverly used pinwheels and plus signs together and it's pieced in rows rather than blocks. A variety of pink and red prints were used along with Michael Miller Cotton Couture in Coin and Bright White. Pinwheel Plus was quilted in a fun loopy design, again, by Johellen. Be sure to enter the giveaway (it's over) for 2 charm packs (6") of Free Spirit Essentials in Soft Solids and Soft Prints. 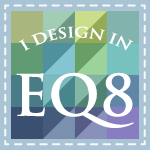 Congrats, Liz from IL is the winner of the American Made Fat Quarter Bundle! 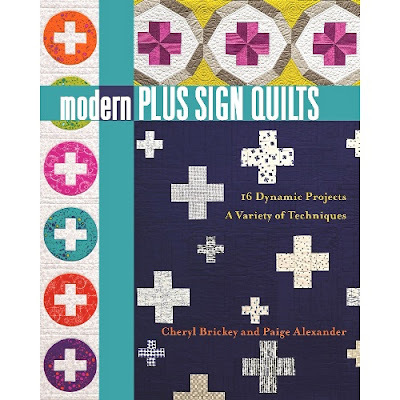 You can get the Paperback version or the Kindle Edition of Modern Plus Sign Quilts on Amazon (affiliate link). 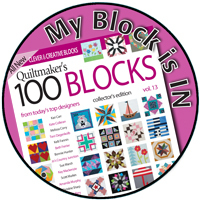 A signed copy can be purchased through the QuiltedBloomsDesigns Etsy shop. I've been enjoying seeing all these wonderful quilts every day! 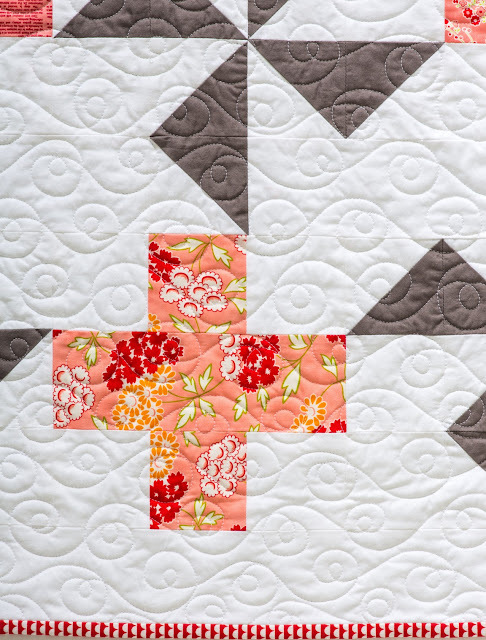 Love the quilting she did on Pinwheel Plus! This is sew much fun. Another delightful morning at the hop. A great way to begin my day. Everyday is so different and so inspiring! Great hop!